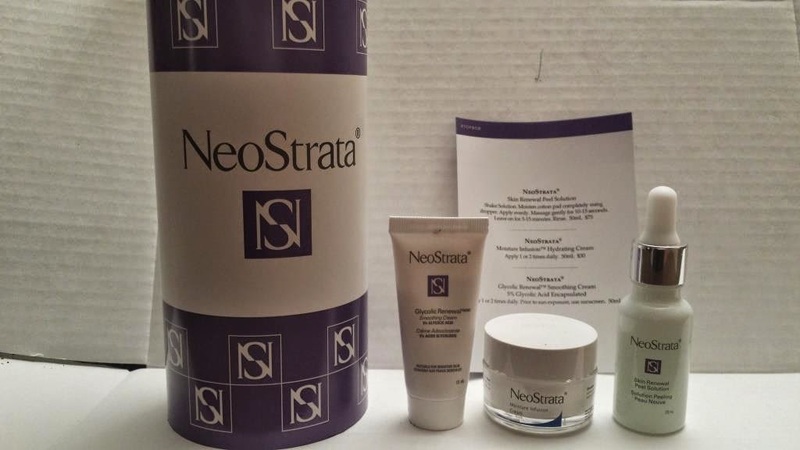 This month my TopBox selection was NeoStrata skin care. I've not used this brand previously but as I love any skin care products I am game to try. Anything in italics are direct quotes from the website. Enclosed in the tube was 3 items. Glycolic Renewal™ Smoothing Cream 5% Glycolic Acid Encapsulated moisturizes skin, while exfoliating dead cells on skin’s surface, and maximizing skin renewal. This daily moisturizer helps reveal a smoother, more radiant, and visibly younger skin. The sample I received is 15ml. About $11.70? The sample I received is 20ml. About $13.30? I am really quite happy with this month's subscription. Value is about $31 which is more than I paid. I really don't care as there are 3 items that I have never used before and I wanted to try a glycolic acid product. PS. I neglected to mention that I received a small travel sized bottle of Hawaiian Tropic SPF30 in the package too.